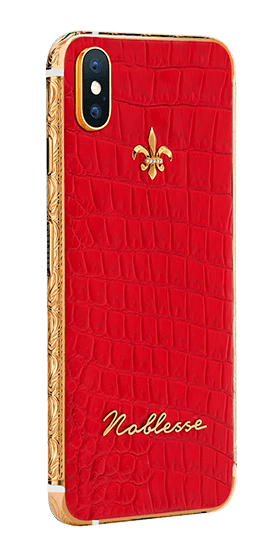 Red crocodile leather, gold and diamond decoration, exquisite hand-made engraving – this telephone embodies luxury and helps to generate bright ideas. Valuable gift for an artistic personality, who is certain to succeed. This stylish telephone is for those who can enjoy the subtle play of senses, notice all the nuances and possess flawless taste. Highlight your inner strength with the help of this stylish telephone, having its own energetics. The combination of exclusive materials makes the phone an ideal accessory: crocodile leather is not only beautiful, but also resistant to wear, and gold with elegant engraving looks luxurious.